Bakewell Pudding is the proper name for what is often called Bakewell Tart. The Bakewell Pudding was first made in the beautiful old market town of Bakewell in Derbyshire in 1860, when the cook at a local inn accidentally put the egg mixture over the jam instead of mixing it into the pastry. 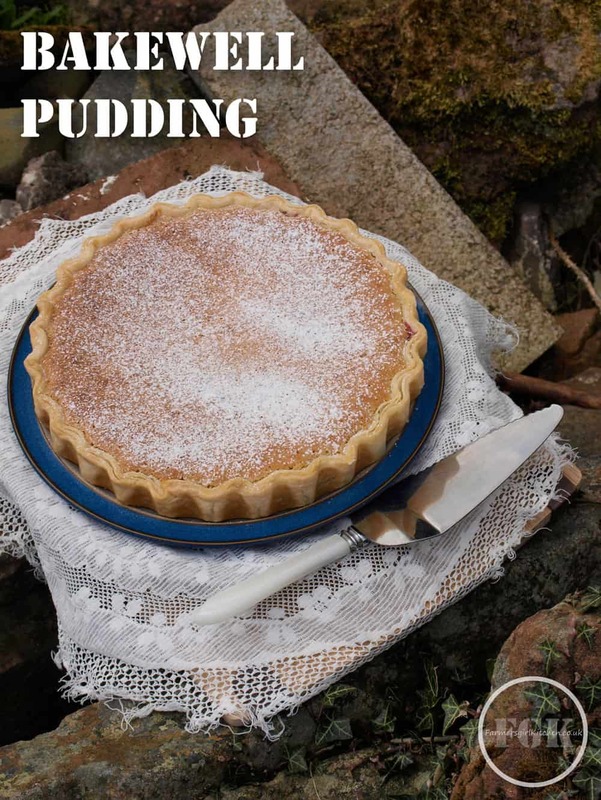 The traditional Bakewell Pudding is still sold and sent all over the world by the Old Orginal Bakewell Pudding Shop, and it’s something you really have to try when you visit the Peak District. It’s a beautiful area with lots to see and do, we visited there a few years ago and really enjoyed it. There are opportunities for walking, cycling and horseriding and historic houses, like Chatsworth to visit. Our sons enjoyed the cable car ride to the Heights of Abraham and going underground to the Blue John Caverns. I loved visiting the Denby Pottery Village where, as well as seeing how he pottery is made there are cookery demonstrations and, of course, the factory shop! You can find out more about all of these attractions at Visit Peak District and Derbyshire. Foodies will want to think about heading to Bakewell for the BAKEWELL FOOD FESTIVAL 30th April – 1st May 2016. The festival will include over 60 stalls around the streets of this beautiful historic, riverside market town, with the focus being on food and drink. There’s so much to see and do in the Peak District it’s well worth staying over for a few days, self-catering is a great way to enjoy the area and relax in your own space. 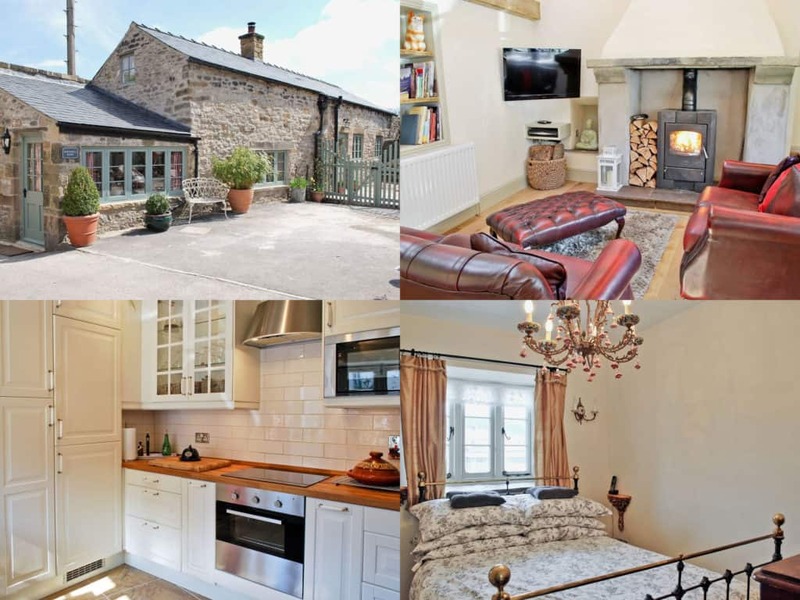 Choose whether you want to stay in a town, village or right out in the countryside, there is a self-catering option to suit everyone at cottages.com just look at this fabulous Bakewell Barn. 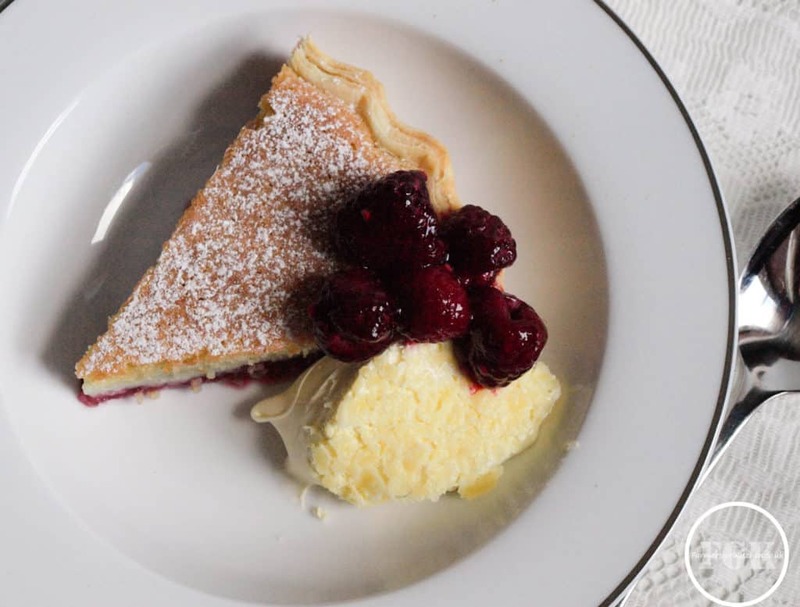 What I like about self-catering is the freedom to come and go as you please, eat when you like, shop locally and enjoy the local treats like Bakewell Pudding, you might even have a go at making your own Bakewell Pudding in the cottage kitchen. A traditional British dessert featuring raspberries, ground almonds, eggs and sugar in a crisp pastry shell. Preheat the oven to 190C/375F/Gas 5. Grease and flour a 23cm/9in loose-bottomed tart tin. Roll out the pastry onto a lightly floured work surface to form a circle a few inches larger than the tart tin. Line the tart tin with the pastry, gently pressing into the edges. Trim the excess pastry from the edge of the tart tin. Carefully spread the raspberry jam evenly over the pastry base. Lightly crush 3-4 of the raspberries in a small bowl and scatter the crushed berries on top of the jam. In a large mixing bowl, cream together the butter and sugar until pale and fluffy. Gradually add the eggs, one at a time, beating each well to incorporate. stir in equal amounts of the ground almonds after you add each egg, stirring well until combined. Continue until all the eggs and all the ground almonds are used up, then stir in the almond essence. Pour the filling mixture into the pastry case and, using a palette knife, gently spread it evenly over the raspberry layer. Bake the tart on the middle shelf of the oven for 35-40 minutes, or until the surface is golden-brown. Dust with icing sugar and serve with the remaining raspberries and dollop of clotted cream. 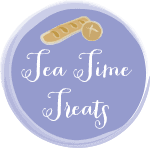 I’m entering this dish for Tea Time Treats the Linky Party run by Karen at Lavender and Lovage and Janie at The Hedgecomers, their theme this month is Local and Regional Recipes. What a delicious tart! I never knew a bakewell pudding was the same as a tart, you learn something new every day. The Peak District looks beautiful, it is not somewhere I have ventured yet but it will definitely go on my list. Thanks do much for joining in with #PerfectingPatisserie Janice! /Thank you, the traditional puddings are not so attractive Lucy, but taste very good. What a gorgeous dessert, and that event sounds like something I would absolutely love to attend, if it weren’t so far away! I know, me too Elizabeth. So many places and events and too little time! Oh I never realised that there was a Bakewell festival happening. Another foodie thing to add to my calender then. I think everywhere has a festival sometime, or so it seems. Sounds like this one involes the whole town. I love bakewell! We sometimes go for walks in the peak district when I visit my sister and her fiancé (they live in Nottinghamshire) we always make sure we buy a traditional bakewell pudding when we’re there. Ive never made my own though. Great post! Thank you, it’s a really olde worlde place isn’t it, Emma? Nice walks by the river too. I was only in Derbyshire late last year and that’s where I learned about the Bakewell pudding/tart situation. I’ve not made my own yet though but would love to go back to the Peak District soon! It’s a funny old thing, but deadly serious in Bakewell! You should have a go at making it, so much nicer than bought ones. Amazing event, I wish I could attend! 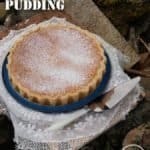 As for the pudding, it looks wonderful! Reading this has just made me desperate for a holiday and for a piece of bakewell tart – it looks gorgeous. Aw shame, you must need a holiday. The tart was very good, it was nice to go back to a traditional bake.